Although known today as a popular tourist location, Lake George has a rich history. 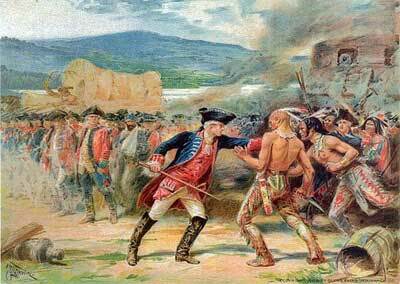 During the French and Indian War, many important battles were fought right on the lake. One of these important battles, The Battle of Lake George, took place on September 8, 1755. In 1754, the commander of British forces, General Edward Braddock, assigned honorary Mohawk chief William Johnson with the task of defeating Baron Ludwig August Dieskau's French forces at Crown Point's Fort Saint-Frédéric. Before this could be carried out, though, Braddock and his army met their demise in Pennsylvania, the French searched Braddock's war chest and recovered the plans for Johnson's invasion of the Lake George-Lake Champlain region. In August 1755, General Johnson, initially unaware that the French were in on his plan, took charge of British, Colonial, and Native troops at Fort Edward, located on a bend in the Hudson River. It was Fort Edward that Dieskau decided to attack preemptively before Johnson could continue with his orders. Dieskau's Native allies, though, were not keen on this plan and instead decided to attempt to reach a mutual withdrawal with the British-allied Natives, who were with Johnson near the southern end of Lake George. Ultimately, their attempts were unsuccessful. On September 8, 1755, Johnson's 1,500 troops and approximately 200 Mohawks with their leader, Mohawk Valley chief King Hendrick, met Dieskau and 1,500 of his French and Canadian forces and Natives on the road between Fort Edward and the British camp on the southern end of Lake George. This first confrontation would come to be known as the "Bloody Morning Scout," and an estimated 80 Mohawks were lost, including King Hendrick, along with many key leaders on all sides of the conflict. 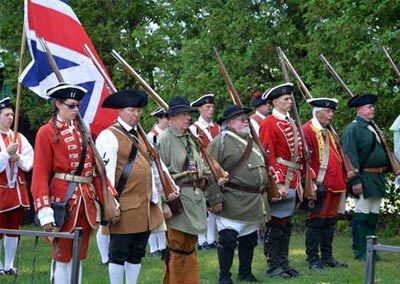 Some historians consider the Bloody Morning Scout to be one of the darkest days in Mohawk history due to the lives that were lost in Mohawk-on-Mohawk combat. After the initial confrontation, Dieskau moved to the north to try to attack Johnson's camp at the southern end of Lake George, but the French-allied Natives refused to participate in another battle that would pit them against their kin. The Canadian forces also declined to join, having lost their leader in the first engagement. Dieskau wound up proceeding without his Native and Canadian forces and was shot three times, but not killed, in the subsequent conflict. Later, Colonial reinforcements from Fort Edward came upon the Canadian forces and the French-allied Natives, who were moving away from the site of the second clash they had chosen not to participate in. A third and final battle ensued and the French forces were slaughtered. The loss was so great that the disposed corpses filled a nearby body of water, giving it the name Bloody Pond. Although the loss of life on both sides was staggering, the Battle of Lake George was considered one of the first major victories for the British against the French. 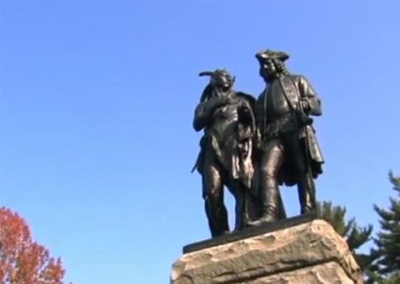 Today, tourists and locals can go see monuments of the Battle of Lake George in Lake's George's Battlefield Park, the site of the second engagement. Fort William Henry, a replica of a fort Johnson built at the site of his camp in 1755, is also open to those who wish to travel back in time and experience reenactments and guided tours.